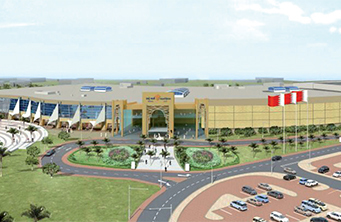 The 72,000 sq/m mall has a Geant hypermarket, 132 stores, a food court, restaurants and a Magic Island family entertainment centre. The mall is now open with much of its retail space already operational and new outlets opening every day, although it has ignited controversy over traffic congestion issues in the area. Visitors to the mall have access to a wide-range of brands, dining options and undercover parking for more than 450 vehicles. A Cineplex will boast 14 screens and incorporate the kingdom’s first IMAX theatre and open in July. Robert Addison, general manager of Seef Properties, said: “We are excited to announce the opening of our new mall, our third shopping centre in Bahrain. Designed to cater to the needs of the residents of the neighbourhood and visitors alike, Seef Mall Muharraq has been inspired by its proximity to the bay, its designers’ say, with references to the merging of sand dunes and sea using a variety of forms, colours and textures. It is a joint venture between Seef Properties, The Malls Company and Hayakala and will be managed by Seef Properties.